Matching solid walnut plinths are the perfect accessory for kitchens featuring our walnut worktops, and are ideal for complementing solid wood cabinets and other natural materials used in your kitchen's design. Walnut plinths measure 3000mm x 150mm x 20mm as standard, and are provided with a smooth sanded finish so that you may apply oil, lacquer or a painted finish. 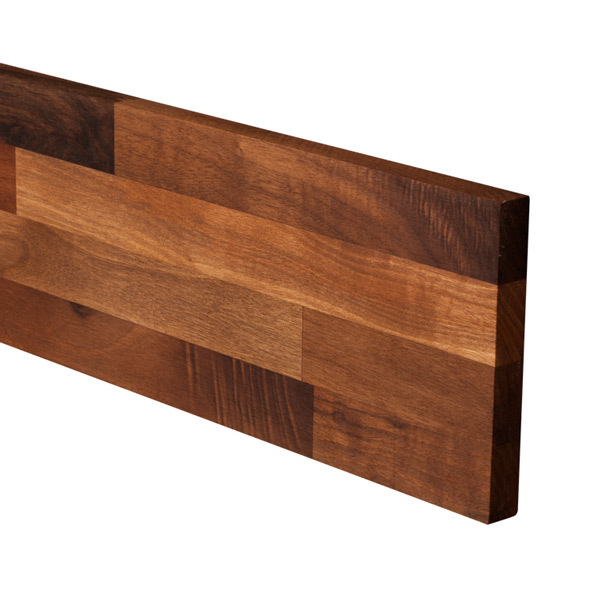 They can also be used to create a larger walnut upstand, or any other kitchen trim such as window sills or doorway surrounds. You can find out more in our Wood Worktop Plinths Nutshell Guide.